Ward5 Interior Design is an award-winning studio catering to all your renovation, restoration and redecoration needs, committed to helping you create a space you truly love, down to the last detail! Welcome to Good Ch'i Feng Shui LLC! Feng Shui can help you tweak or significantly change the decor of your home or office and bring in positive energy. We thoroughly assess your needs & offer a design that is a unique expression of your personal style. Great design is within your reach with our exceptional service, total design flexibility & value. This boutique firm in Manhattan specializes in residential design in all areas, custom millwork, designing with color and customizing spaces. We especially love to help our clients realize the potential of their homes and to achieve maximum function and enjoyment in each space. Amita Kochar LLC is a full service interior design and decor firm. We proudly serve Long Island, Manhattan and Ottawa. Please reach out for any inquiries! In today's busy life we believe it is essential to have an environment that reflects your sense of style, a place where you can find comfort and relaxation. Everyone deserves a home that shows their personality. No matter the size or scope of the project, Design by S. A Studio delivers exactly what it promises, which allows for a painless and stress-free experience for each of its clients. We believe that design should be distinctive and memorable, so break the rules and explore the possibilities. Design by S. A Studio will make sure that you “Love Where You Live”. Design by S. A Studio serves the NYC area and is committed to listening, understanding, and discovering our client's visions, helping them to create their unique environments. Design by S. A Studio has been serving a distinguished clientele of homeowners for nearly 8 years, we build great relationships with our clients and make sure that throughout the process of design and planning their goals and dreams are fulfilled. We begin our creative process by getting to know our clients through our initial consultation. As we provide professional oversight on all aspects of the design and execution, working closely with our clients to ensure their satisfaction by creating a personalized and unique ambiance. We work with skilled tradespeople to guarantee your design is executed to the highest standards. Whether you are preparing your home for sale, planning or renovation, Design by S. A Studio will transform your New York living. TOO MANY CHOICES: MAKE JUST ONE! KDD Design firm owner, Kim Depole, specializes in providing design solutions for developers and property managers by inspiring interiors with a sense of beauty, calm, and creativity. Home is a sanctuary, each corner & crevice craves attention. We work with our clients to design detail oriented & thoughtful spaces that are both aesthetically pleasing & functional. In working with us, you will discover that we never lose sight of bringing your vision to life. We will ensure that your house feels like a home you designed, not one that was designed for you. Our residential experience spans from small bathroom or kitchen renovations, to interior design of entire homes. Commercial projects encompass retail design, restaurant renovations and office building décor. We also specialize in window and showcase design. Our Services are varied and customized to meet your special needs at affordable prices. Hiring a decorator was once considered a luxury only the rich and famous could afford. However, our flexible decorating and design services can offer as much, or as little, guidance as you need. Hiring a professional to create a beautiful home or business is cost-effective. We will provide the experienced, licensed and insured contractors and you will have the rooms, home or business you want, without the hassles or mistakes. We will handle every aspect of your project in a stress free manner. We have been in the decorating industry for over 20 years and have references and portfolios for your review. Charlie’s Designs LLC caters to client needs, providing all aspects of interior design consulting – from space planning to project conceptualization to project management. VBDB aims to create private, intimate spaces catered to each client. Need someone to put the whole thing together? Or, to coordinate all the parties already in place? No worries, we've got you. Rick Shaver and Lee Melahn are the principal designers behind Pleasant Living, LLC, a design firm concentrating on interior design and custom furniture design for over a quarter of a century in the demanding world of New York City. Since inception, their experience has taken them beyond the city to include projects from coast to coast in the continental United States. Pleasant Living's services range from complete interior architectural installations to decorating projects under an overarching philosophy that completed designs must reflect the lifestyle and needs of their clients, going well beyond a formulaic approach. For Rick and Lee, it has always been their objective to design beautiful spaces, with the belief that the highest measure of good design is how well it works for the client. In addition to their interior design work, the design and production of Shaver/Melahn’s furniture is approached with the same spirit. Attention to detail and impeccable craftsmanship are the focus, while using indigenous materials hand crafted in America serve as the hallmark of their collections and custom-made pieces. Rick and Lee's work has been seen in numerous international and national publications including House Beautiful, Veranda, Ellle Deocr and The New York Times! We have also been nominated and showcased inside the Kips Bay Decorator Show House, in addition to other charitable venues including: DIFFA, Dining by Design, and The Bailey Hart House Annual Fundraiser. Please send a message or call today to begin the process of reimagining your space! Drawing inspiration from both classic and modern elements, Renee Infantino focuses on creating elegant, livable spaces. 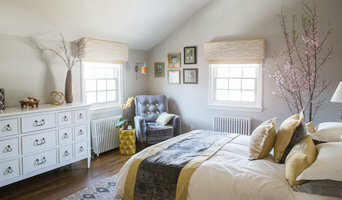 After attending the Graduate Interior Design Program at Pratt Institute, Renee founded her interior design firm in 1992. Throughout her career, Renee has collaborated with notable designers such as Kevin McNamara and Mariette Himes Gomez. As a trained artist with a background in painting, Renee uses her understanding of color, pattern, texture and composition. She values designer-client relationships and strives to cultivate the individuality of each of her clients, many of whom return time and again. Renee approaches her work with pragmatism and works closely with her clients to create a comfortable, sophisticated home. It is this balance of style and function that define Renee’s unique style. The work of a professional can make all the difference. Whether your home has 10 bedrooms, or your apartment is 800 square feet, it can be tricky to create a cohesive look that is representative of your style. That's where a local Queens interior designer comes in. A home decorator will help distill your tastes and ideas into a design that suits the needs of your space. Whether you need help creating a functional space plan, rearranging existing pieces, designing the inside of a new home, or simply sourcing amazing furniture and decor, seeking the help of professional interior designers and decorators in Queens, NY is a must. A good home design professional will hone your style down to its very essence and be able to choose a functional layout that feels natural to you. Interior design companies can be involved as much or as little as the client desires. Many clients who hire an interior decorator in Queens, NY — particularly those who are remodeling — have a good sense of how the room should look and what products they should use. Often clients will insist that interior decorators use the products already present in the house. Other times a designer will need to start from scratch — especially if this is a newly purchased or just-built home. An interior design company will need to figure out exactly what the client needs, which includes organizing rooms, picking flooring and wall colors, and finding furniture to complement it all. Sometimes that means he or she will have to recruit help from other Queens, NY home professionals to help create the perfect look for your renovation. Here are some related professionals and vendors to complement the work of interior designers & decorators: Architects & Building Designers, General Contractors, Home Builders, Design-Build Firms, Photographers. 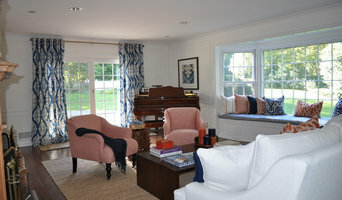 Do your research before meeting with an interior designer or home decorator in Queens, NY. Ask yourself what you want your space to become and what it will be used for. Figure out the extent of what you need help with, what your must-haves are and what your budget is. Interior design services can add up fast, so be up front with a potential design firm or individual from the beginning. Also, pick an interior decorator that fits your style. 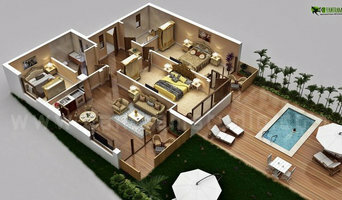 Browse through the portfolios of different Queens interior design firms and decide if you would live in those houses. Just because you like something doesn’t mean you could live in it. There's a big difference! 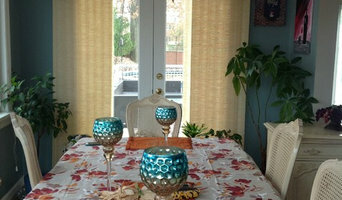 Find an interior designer or home decorator in Queens, NY on Houzz. Narrow your search in the Professionals section to find Queens interior designers near you. 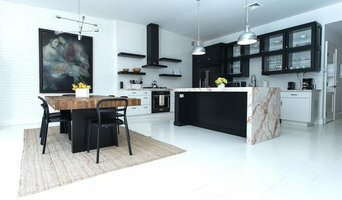 You can also look through Queens, NY photos to find a room you like, then contact the design firm who designed it.